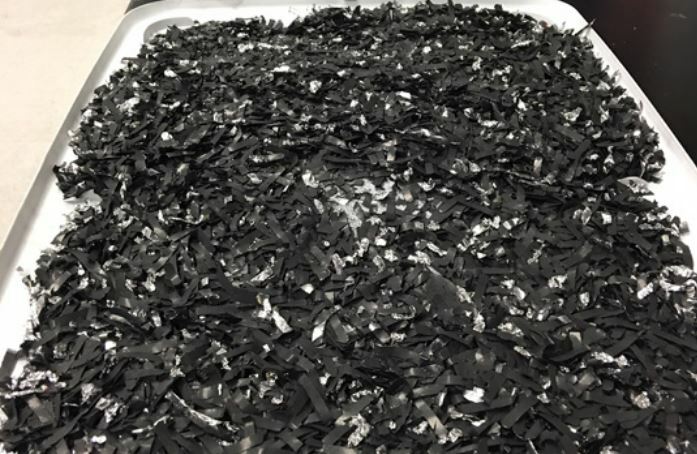 American Manganese Inc. [AMY-TSXV; AMYZF-OTCPINK] said Friday March 8 that it continues to process cathode scraps through the company’s lithium-ion battery recycling pilot plant. Using the company’s patent-approved process, the scraps underwent separation and leach operations, yielding a pregnant leach solution (PLS) containing cathode metals (cobalt, lithium, nickel and manganese) in quantities that meet the company’s high expectations. More than 500 litres of PLS have now been collected for further testing and prepared for the remaining three stages of the pilot plant project, the company said. American Manganese shares advanced on the news, rising 7.41% or $0.01 to 14.5 cents. The 52-week range is 13 cents and 26.5 cents. American Manganese wants to become an industry-leading miner of cathode metals from spent lithium-ion batteries. The company took a key step along the road to that goal by announcing recently that the United States Patent Office had issued a notice of patent allowance for American Manganese’s battery recycling technology. “The Notice of Allowance is formal notification indicating that the examination of the invention has been completed by the US Patent and Trademark Office and allowed for issuance of the US patent,” the company said at the time. “Allowance of this patent is a significant milestone for the company as the invention is now secured as a key asset that can be exclusively capitalized,’’ said American Manganese CEO Larry Reaugh. Global warming is putting severe pressure on governments everywhere to reduce carbon emissions. That in turn is expected to result in sharply increased production and sale of electric vehicles. The company said it recognized early on that significant growth in the electric vehicle market will eventually lead to supply strains in materials used to make lithium-ion batteries. The company hopes to capitalize on the expected electric vehicle revolution through being able to take EV batteries, convert them into cathode materials of high purity that can go directly back into a battery. The suite of cathode materials includes lithium, cobalt, nickel and manganese and aluminum. “This would avert the release of anything into the environment,” Reaugh has said. Needing to secure a deal with a cathode scrap provider, American Manganese recently signed a memorandum of understanding (MOU) to form a partnership with Battery Safety Solutions B.V. (BSS). BSS is a private Dutch company that specializes in the collection, discharging and dismantling of lithium-ion batteries. The Dutch firm has developed a unique process that completely discharges a lithium-ion battery in a fraction of the time needed by conventional methods, and then stores 100% of the discharged energy. Once the battery is discharged, BSS can safely disassemble and sort lithium-ion battery components. The MOU was signed after bench-scale tests on disassembled battery samples sent to American Manganese by BSS yielded positive results, utilizing the Surrey, B.C. company’s patented process. Aside from its quick discharging process, BSS is expected to bring to the partnership its expertise in European marketing, access to customers, and experience with safe handling. During a recent interview with Resource World, Reaugh said the next stage would be to conduct pilot tests to show that the company can scale up to large scale production. The betting is that if American Manganese can show a quick payback from pilot testing, it will be able to raise the funds required to build larger plants in the future. “The pilot plant testing procedure is done in a manner that helps collect valuable operational data that will help us optimize the pilot plant for testing at a continuous rate once all the stages are complete,” Reaugh said in a press release on Friday. “While the pilot plant testing is expected to be complete by the end of May 2019, EV (electric vehicle) and battery manufacturers are already conducting due diligence on our process,” he said. Mining metals from batteries marks a change of focus for American Manganese, which had previously been engaged in trying to mine manganese from low-grade ore at a deposit in Arizona.